Todd Narlinger, founder and owner of Madison & Company Properties, is a highly acclaimed, award-winning Realtor in the Denver Metro Area. He began his 21 year career as a Broker Associate with RE/MAX Masters, and in 1995 was honored as RE/MAX Masters Rookie of the Year. Since 1998, Todd has sold over $25 million dollars of real estate every year. In the summer of 2008, Todd founded his own firm, Madison & Company Properties. Today, Todd continues to distinguish himself as Broker Owner of Madison & Company Properties. 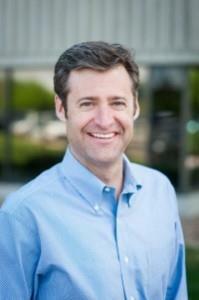 He has created a boutique firm with over 90 agents and four Denver metro area offices. Madison & Company Properties began with a vision for a brokerage with a collaborative, team atmosphere that provides clients with honest and knowledgeable associates and first class services. Everyday, Todd works hard to maintain this top level of service among his brokers, always striving to be the best in the business. In addition, Todd has also successfully marketed and sold new development projects including: One Pearl, Abitare, ICON 740, ICON 195, and ICON 1107. Madison & Company Properties has earned the prestigious Denver Post Top Work Places award for the past 3 years in a row.